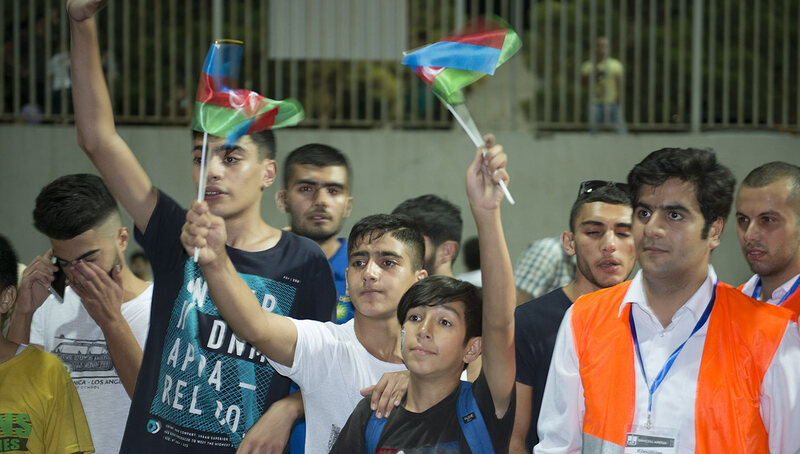 In the small country of Azerbaijan, a street movement is growing. Though still in its infancy, it is gaining momentum thanks to its leader, pro football veteran Nugzar Kvirtiya. 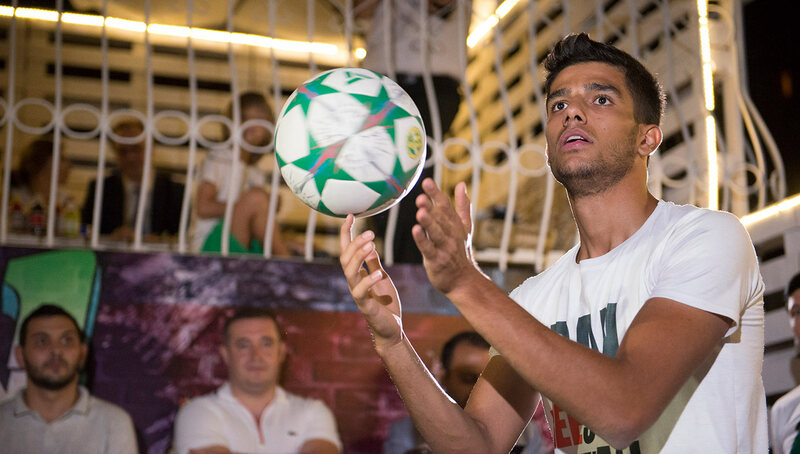 From panna to freestyle, Kvirtiya aims to bring his country into the spotlight through major events, tournaments, and the development of talented players. A tiny country with a population just under 10 million, most people would have trouble simply pronouncing Azerbaijan, much less pointing it out on a map. However, the beautiful game knows no boundaries, and the country is beginning to experience the rumblings of freestyle and street football. 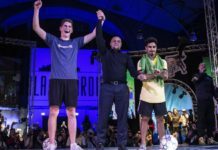 The man behind the wave is Nugzar Kvirtiya, a Georgian footballer who has been playing professionally over the past 14 years. Forced to move from Georgia as a child due to an ongoing war, he and his family settled in Russia, where he’d soon show promise as a young prospect. At 20 years old he signed his first professional contract with Russian side FC Zorky Krasnogorsk, before bouncing around several other Russian clubs as well as those in Azerbaijan, Georgia, and Tunisia. Now 33 years old and a free agent, Kvirtiya is hopeful he can sign with another team, but realizing he isn’t getting any younger, he continues to remain involved with the game on its street side — one that he is very much familiar with. 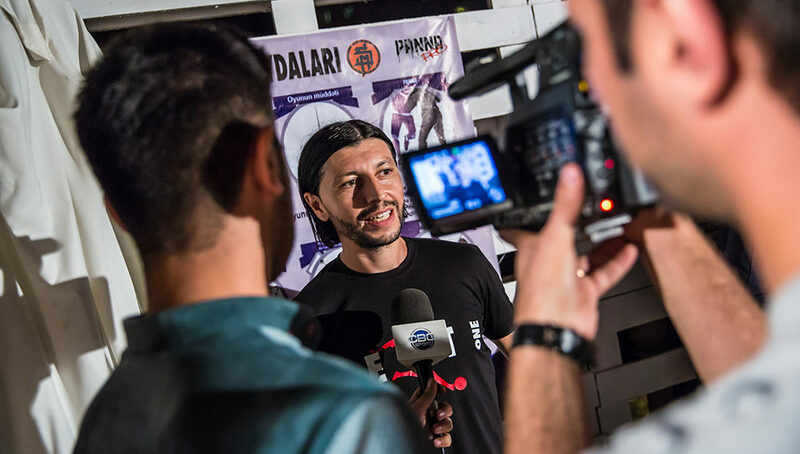 In addition to his professional career, Kvirtiya had an early involvement with freestyle, going back to the sport’s infancy in the mid-2000s. 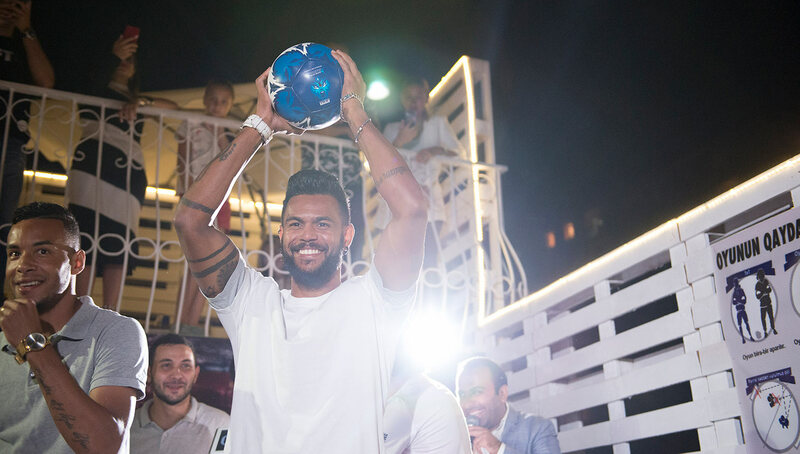 He’s also infatuated with street football, most notably panna, claiming that he’ll often go overboard in trying to panna his opponents on the professional field. 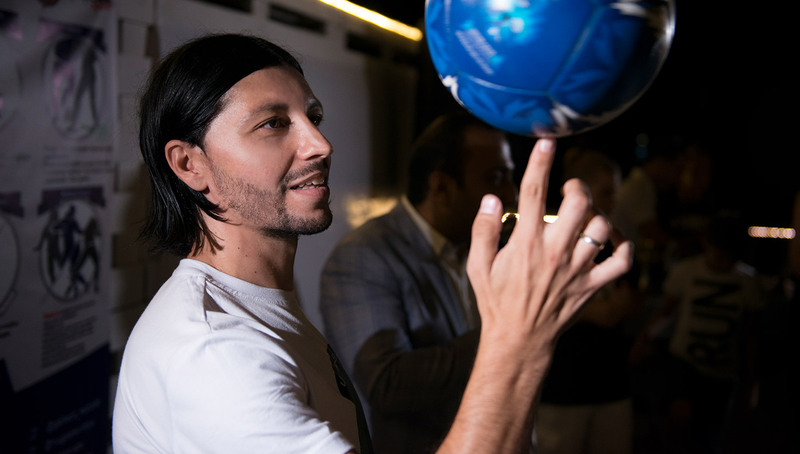 Upon moving to Azerbaijan in 2009, he came to notice the technical prowess of young Azerbaijani players, along with their similar affinity for panna. 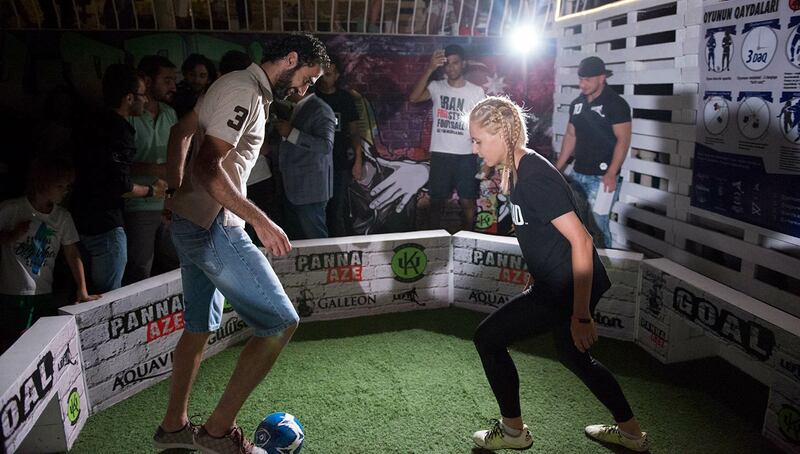 Despite the country’s natural predisposition for the street game, there was little to no scene present, save for a few small-sided pitches in which players could rent on an hourly basis. 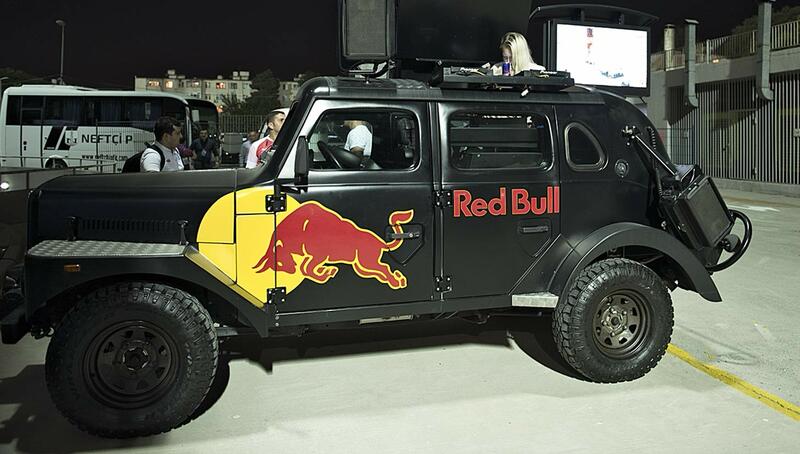 That all changed in 2015, when Séan Garnier came to town. His presence and personality engaged masses of crowds, and upon meeting him, Kvirtiya realized that there was room for a regular street scene that didn’t just pop up when Séan was in town. Also familiar with the Street Madness team from his time in Russia, he consulted Bizex and co. as to how he could start a movement of his own. 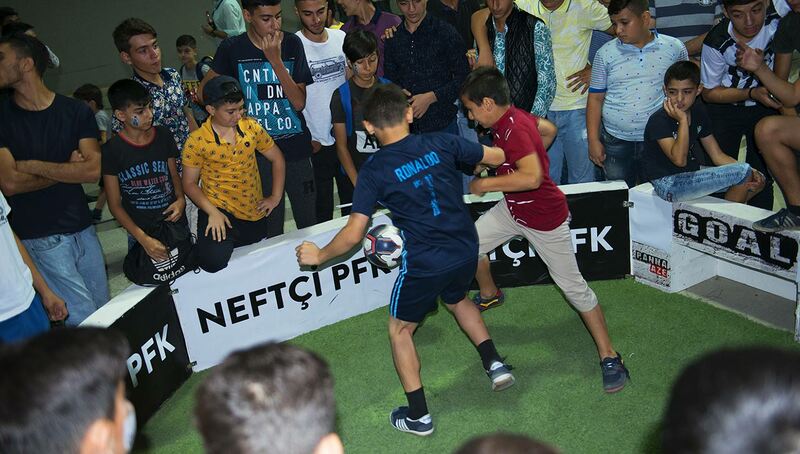 He realized that he first needed to find a crop of Azerbaijani freestylers and street footballers to establish a presence. 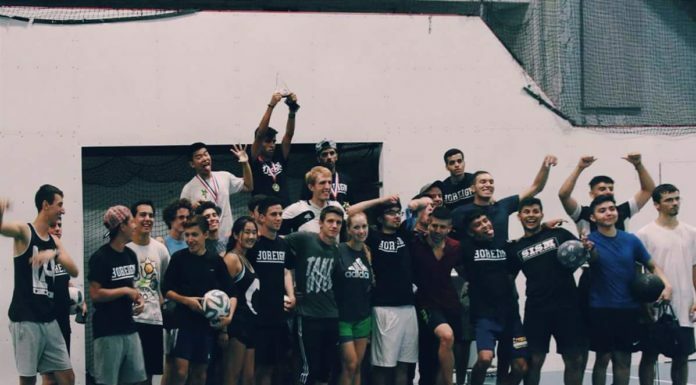 Given the fact that there were plenty of players already interested, it wasn’t too difficult finding them, but developing their skills was a different story. 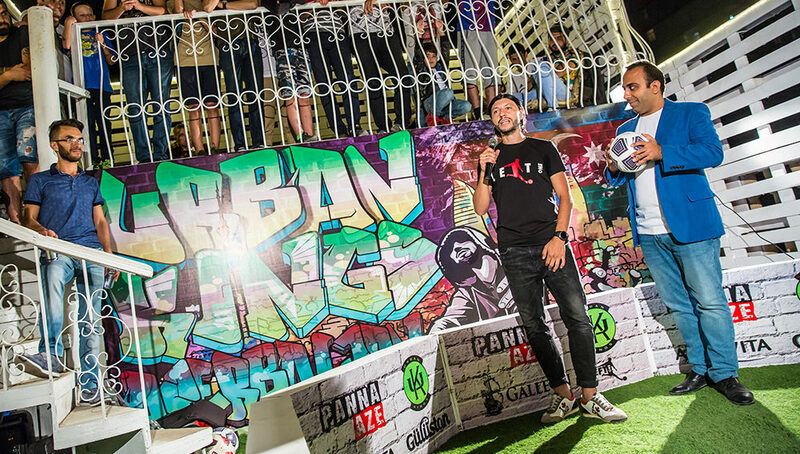 After years of planning, he finally set up the first two panna events in Azerbaijan this year, occurring on the rooftop of a restaurant owned by a close friend of his. 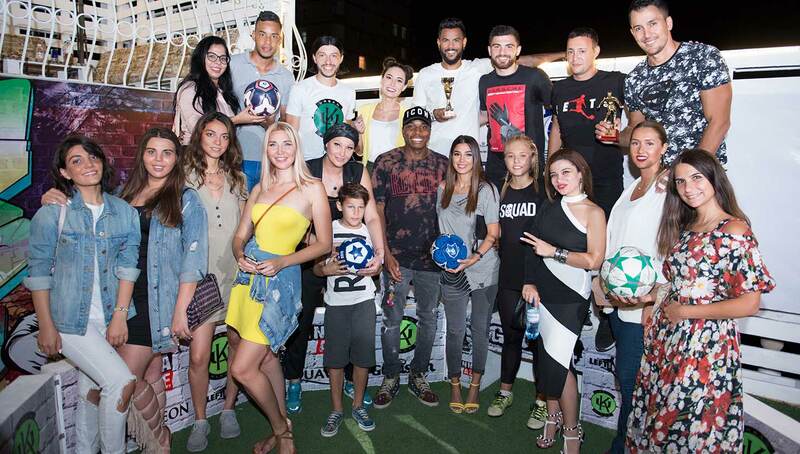 The events featured members of the Azerbaijan Premier League and national team as well as a performance from three-time Iranian freestyle champion Amir Movafagh. The events were a success, a well-received fruition of Kvirtiya’s hard work. But he’s not done yet. 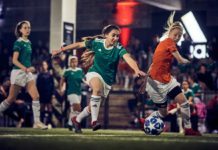 In addition to sending Azerbaijani players to global events like Red Bull Street Style and Super Ball, Kvirtiya is looking to host events in parallel to the 2019 Europa League finals which will be held in the country’s capital of Baku. 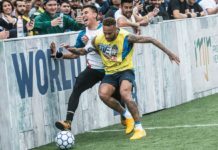 He’s also been brought on as the Azerbaijan ambassador for Neymar Jr’s Five, and while the country has previously sent teams to the World Finals in Brazil, Kvirtiya is focused on changing the team’s morale and expectations. Simply making it won’t cut it anymore. 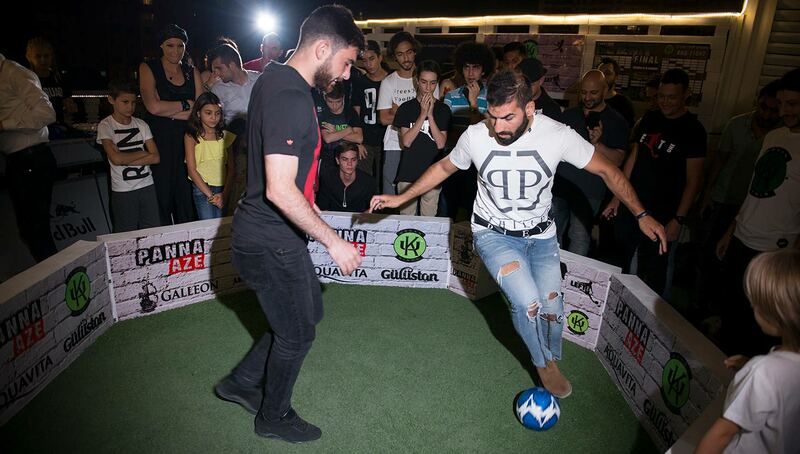 He’s also in talks of becoming the Azerbaijan ambassador for the WFFA, and is looking to create a weekly panna and streeet football league, with an emphasis on fan experience to grow outside support. While these goals may seem lofty, Kvirtiya’s endless patience and persistence are the only reasons you need to believe in him. He won’t rest until his goals are fulfilled. Make sure to follow Nugzar’s journey by following him on Instagram.